interCaribbean’s ever-growing network of destinations. latest issue of our in-flight magazine Cacique. elsewhere in our network. All of these new routes are served by our fleet of highly reliable 30seater Embraer 120s. the creation of this particular story. new island pairs and, as a result, reducing the need for many passengers to route via US airports. welcoming you back on board in the near future. provide even more connections between those destinations we already serve. elcome to Issue 3 of Cacique, the in-flight magazine of interCaribbean Airways. nations to be added to the interCaribbean route network in recent months, the others being Havana, Santiago de Cuba and Tortola. the Cuban capital – more than enough to recommend the city as a wonderful short-break destination. New York), Harry Belafonte. And staying in Jamaica, we consider the wisdom of buying property there. lesser-known, Provo-based women: professional kiteboarder Hope LeVin and local celebrity Daisy Handfield. Meanwhile, over on South Caicos, we try our hand at bonefishing, with mostly comical results. Damajagua. In Puerto Rico, we ride the world’s longest zip wire. Tortola’s delightful Heritage Inn and test-drive Jaguar’s fabulous new F-Pace – what a car! comments about the magazine, please feel free to contact me at the email address below. To mark the historic concert by the Rolling Stones in Cuba in April this year, just before the launch of scheduled flights, interCaribbean Airways operated a commercial charter from Providenciales to Havana and back. The 30-seat aircraft sold out, with guests enjoying the concert for free, and having some extra time to enjoy the Cuban culture. awarded for each flight segment you fly with interCaribbean. ANTIGUA To celebrate Antigua joining interCaribbean’s ever-growing network of destinations, Cacique magazine heads to the beautiful island to spend 48 hours exploring, indulging and relaxing in a Caribbean paradise. are also available, depending on your preference. cellent bakery – the pineapple turnovers are delicious! card-perfect views were worth the visit. north of the island had to offer. to eat, off to the airport we went. red. Then it was back to The Villas at Sunset Lane for a nightcap and another great night’s sleep. fessional rider wasn’t in my mind until years later. event, which will be the 10th anniversary – and, yes, 10 events does make me feel old! kiteboarding event in TCI before Windvibes? How did Windvibes come about? organisational skills, I’m not sure there were many more kiters at the first event. What makes TCI so perfect for kiteboarding? many beautiful beaches on every one offers something different and they’re all so beautiful. to get here compared to other kiteboarding destinations. place to kite is Maui in Hawaii. Kiteboarding is based there, so it feels like my second home! the sport in a positive light. What qualities make for a successful kiteboarder? skills together shortly after learning them can be a little overwhelming before it becomes second nature. A little bit of tenacity goes a long way in the beginning. what made it special. We were all connected by the fact that none of us really knew much about the sport and there wasn’t an instructor. Your advice for would-be kiteboarders? enough. Just do it. The sport has evolved an incredible amount in the last 10 years and gear has become very safe. Learning has never been easier – and it will be a journey that will transform your life. nowhere else in the world. They are Dominican amber, blue amber and Larimar. centuries later, in the 1970s, that commercial mining of the gemstone began. colours of amber than you may found in the Dom Rep.
are yellow, orange and brown. Under artificial light, blue amber appears the same colour as Baltic amber. still beautiful, is not as rare and precious as Larimar. in the Dom Rep and across the Caribbean. Cuba is entering a very exciting era. headed to Havana to check out the top 10 things to do in Cuba’s capital. the vintage American cars go by a perfect souvenir photo of your trip to Havana. island. Old Havana oozes history. well you want to take up dancing lessons when you get home. Medio is one of the city’s most popular and celebrated bars. del Medio is a traditional Cuban bar that also serves good food. mented by signatures and graffiti on its walls where guests have paid homage to this famous venue. ladies in their colourful dresses. simply take your own routes and discover for yourself. a night of fun at the Tropicana. de Este is close to the city centre, easily accessible by bus or taxi. the extent of Fuster’s talent and creativity. offers a paradise for art lovers as well as a fascinating visit for the casual peruser. garden to religious wall murals and everything in between. withstood attacks from the British, which led to the destruction and eventual rebuilding of the fort. which, as the name suggests, is home to solely Cuban art. to explore nearby, including the Museo de Arte Colonial. locally as 27 Charcos de Damajagua or Saltos de Damajagua that offer a thrill for adventure-seekers. through as many as they wish and experience the excitement and adrenalin of this unique place. going without a tour, visitors can choose how many of the falls to visit, as tour groups are usually confined to the first seven. fitness for climbing to the top of each. each fall into the pools below. down into the pools below. if you have the falls to yourself. INFORMATION For more information about visiting the falls, head to: www.27charcos.com Images courtesy of Iguana Mama, who offer tours of the waterfalls. For more information, head to www.iguanamama.com. Model, journalist, TV presenter and allround superstar – it seems there’s nothing Daisy Handfield can’t do. The Turks & Caicos native has already had an eventful career that includes working with interCaribbean Airways on a TV show. Daisy spoke to Kirsten Alexander of Cacique about her career, her love for TCI and what the future holds. How did you get into entertainment? decided I wanted to try television. wanted to accomplish in life. correspondent for Telemicro, one of the top news companies in the Dominican Republic. The station is seen worldwide by millions of people. I am basically their face from TCI. and ask me to be the promotional model for their brand. ventured off to Los Angeles and Atlanta to do bigger modelling jobs. I don’t like routines much. Everything is always different with modelling. something we are also looking to branch off into TCI as well. What do you enjoy most about being in TCI? I leave, home is where the heart is. working on my TV show and I will working on a few projects that I want to scratch off my list. though if you do not look or do important or will not succeed. the end result in mind. tarian work is a big thing to me. I want to become a brand to then of other people. your visions or see you fitting the part that you want to play, but that should not stop you from aiming at being great. top-end properties elsewhere in the world. before taking ideas back to their in-suite kitchens, designed for creating something simple. be those flowing blond locks and the easygoing island style. Chinese medicine in the Americas,” says Kelly. for small group gatherings. It is a process of metamorphosis. Life is evolution,” explains Kelly. meat that remain uncooked from the night before. luxurious island experience and something totally different from the more typical style of Provo vacation. since I was a kid,” says Kelly. Wish you were here? Jamaica is still a great place to invest in property if you take a cool-headed approach and look in the right places, says Gary Gimson. and its sometimes fiery food. sadly – in stark contrast to Goldeneye and Firefly – this property is just a wreck and has long since been reclaimed by nature. wouldn’t be the first, of course. investors have largely focused on Montego Bay, Negril, St James and Ocho Rios. and a location to die for. straightforward to obtain residency if required. properties in desirable locations for around US$ 0.5 million. do you’ll need deep pockets and money and closely manage some delicate restoration work. I guess not everyone is willing to do so. growth potential and solid rental possibilities. Yet more reasons to love Jamaica. Warning: may contain bones An interview with a prominent South Caicos fisherman turns into a slightly farcical day out for ‘Cacique’ publisher Gary Gimson. and making some hasty notes, I taciturn crewman, Marley, for a morning’s fishing. asked me to find out more about bonefishing. It’s not fishing for bones, as I first thought. panions – I am painfully bitten wading into the ocean. Despite its unattractive moniker, the bonefish is a rather handsome and noblelooking silvery creature full of bones, man,” he replies. throughout southern Florida, The Bahamas and Turks & Caicos. dart here and there searching for food. take home are probably about sive-looking fish. and it seems a pity to take these fish out of their watery habitat. But being sentimental is not the reason for our trip. Singer, actor and activist Harry Belafonte is a legend in all three aspects of his career. As he approaches his 90th birthday early next year, Cacique takes a look back at the life and times of the Caribbean’s King of Calypso. was this role that sparked off his colourful career. they would describe to the other person what they had seen, so neither of them missed out. Tony Award for his performance. ture song throughout his career. Bon appétit! SAVOURING THE FLAVOURS OF HAITI One of the joys of visiting the Caribbean is the way that each island or region has its own signature dishes and flavours. This is specially true of Haiti, which offers some of the Caribbean’s most exciting and interesting flavour combinations in its cuisine. Cacique gives you the low-down on why Haitian cuisine should not be missed. cant part in the flavour of Haiti. vegetarian dishes to be enjoyed. snack. The fillings can be altered to suit different tastes. made from pumpkin, mixed vegetables, herbs, spices and beef. This hearty, warming soup is one of the nation’s most important dishes, served on 1 January to commemorate Haitian independence. many local and family variations to suit individual tastes. and beans is common in Haiti. meal when topped with a bean purée called sos pwa. ished off with a generous splash of rum. fresco is a quick and tasty drink/ dessert, often found in a variety of flavours, including cherry. fruit champagne with a tropical flavour. Are you brave enough to take on the world’s longest zip line? will prepare you for Puerto Rico’s scariest attraction. harness, The Monster gives you the ultimate feeling of flying. including rope nets, monkey bars and suspension bridges. here’s no question about it. This has to be Provo’s most popular eatery. restaurants to choose from, Coco right to attract so many eager diners every day of the week. of regional favourites and some fusion of styles – all with a Coco Bistro twist. Bay next to Provo Golf Club. You’ll need a car or a taxi to get here. aperitif with sparkling San Pellegrino to sip with the meal. chutney was so tasty that I now plan to make my own. ites but served Coco Bistro style. otherwise blessed with so many dining options. Club, located in the south west of the island. complete with clear warm waters and swaying palm trees. luxury spa manicure and more. who like to enjoy the outdoors. 11 pm and is the perfect place to unwind after a day on the beach or exploring Tortola. an idyllic place to tie the knot or enjoy a romantic honeymoon, with packages available upon request. builders of Italian exotica such as Ferrari, Lamborghini and Maserati. looks. In fact, I’m really quite taken with the F-Pace. Jaguar models – the XE, XF, XJ and F-Type. car that can tackle all on-road maintaining a serene presence – especially from behind the wheel. felt, perhaps, that our region was ment for such a prestige marque, then the F-Pace would seem to assuage any such concerns. world. But I’m sure the wait will be worth it. Roll on August. house MacBook, with a sleeker, than before. all be about to change with the Asus ZenBook 3.
the USB Type-C charging port on the right. This may be limiting for some people, but liberating for others. www.intercaribbean.com Don't forget to book your advertisement to promote your company, brand, product or services. Generous discounts available for series bookings. departure time for domestic flights and 45 minutes before scheduled departure time for international flights. x 16 in x 9 in and must weigh no more than 10 lb. might not be guaranteed on your flight. Any luggage heavier than 70 lb will not be accepted as checked luggage. Thereâ&#x20AC;&#x2122;s nothing more special than the gift of travel; so why not treat someone to an interCaribbean gift certificate, available in denominations of US$25, US$50 or US$100. These personalised gift certificates can be sent to either you or your recipient. Email us at: gifts@interCaribbean.com to get yours now. for an infant, but you will requite a Boarding Verification Document instead. cepted only on direct or non-stop flights, not on connecting flights. child is accepted for travel. also require a visa, so itâ&#x20AC;&#x2122;s advisable to check online destination country. interCaribbean Airways introduces Cacique Rewards. When you sign up to the rewards programme, you become a Cacique: a historical title given to the chiefs and leaders of the Caribbean islands. As a Cacique, you will earn points for every flight segment you fly on interCaribbean and these will translate into rewards. Head to the website to sign up and start earning now! Authorisation website. For a list of countries where passport holders do not require a visa, and other exceptions, visit the passports and visas page on our website. We hope you enjoy your flight today with interCaribbean Airways, please feel free to contact us at the e-mail addresses shown here. At interCaribbean Airways, we aim to connect you and the Caribbean as easily, quickly and efficiently as possible. Travelling around the western Caribbean with interCaribbean Airways means you can save time going from one island to the next, so you have more time to enjoy what you came here to enjoy. Cacique is the inflight magazine for interCaribbean Airways, connecting you and the Caribbean. 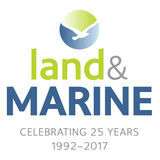 Published by Land & Marine Publications Ltd.